On behalf of Bike Law Michigan and the Sinas Dramis Law Firm, we would like to express our heartfelt condolences to the families and friends of the five Kalamazoo bicyclists senselessly killed on Tuesday evening, June 7. Our thoughts and prayers are also with the four bicyclists who were seriously injured in the tragedy. We wish them a speedy recovery. The entire Michigan bicycling community is grieving at this time, and we extend our thoughts to them as well. “It’s hard for me to think about this tragic collision, but at the same time, it is impossible to escape,” said Bike Law Michigan’s Bryan Waldman. The 50-year-old male driver who struck the Kalamazoo bicyclists with his truck, and then attempted to flee on foot, is now facing five counts of second-degree murder and four counts of reckless driving. The driver will be arraigned as soon as he is released from the hospital, where he is recovering from his own injuries. 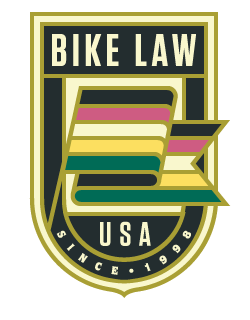 Bike Law Michigan urges a swift prosecution, to the fullest extent of the law. A “Ride of Silence” was held in Kalamazoo on Wednesday evening, June 8, to honor the bicyclists. Other rides were held, and are still being held, across Michigan and throughout the country. Anyone wanting to help the victims and their families can contact the Kalamazoo Strong Organization.